I seem to have regressed from any kind of interesting outfit to one of jeans and a tee. There are, however, slight details that make these kind of outfits feel a little more exciting for me. Jeans ripped at the knee is something that I'm so late to, but in love with. I really don't know why a little extra space around my knees is so exciting but now I'm asking myself why all of my jeans aren't a little ripped. My Easter break is nearly over - just one week until I go back to university and I have so many outfits to shoot before I leave! The past week we've been watching movie after movie and I have a new-found favourite. We watched 'Love, Rosie' a few days ago and I desperately want to watch it again already! The fact that I cried multiple times throughout puts it up there in the ranks as a good movie. If it can make me cry (due to laughter or otherwise) it's a winner. If you haven't watched it, go over to YouTube and search for the trailer! There are some great throwback songs in there too, because I think the story line spans over around fifteen years. I watched the trailer for 'Love, Rosie'. It looks so good. I really want to watch it! Love the tee and jeans! Following you on GFC. Those jeans are so cool ! 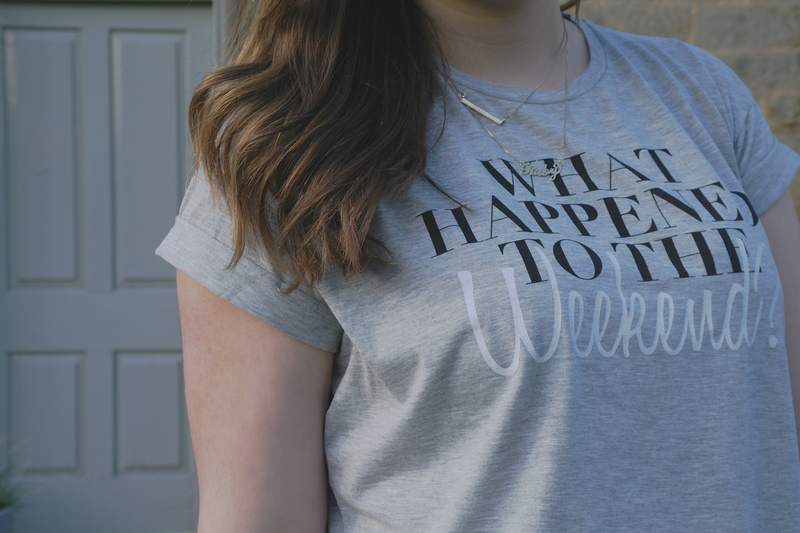 The slogan is how I feel every Monday - lovely post! 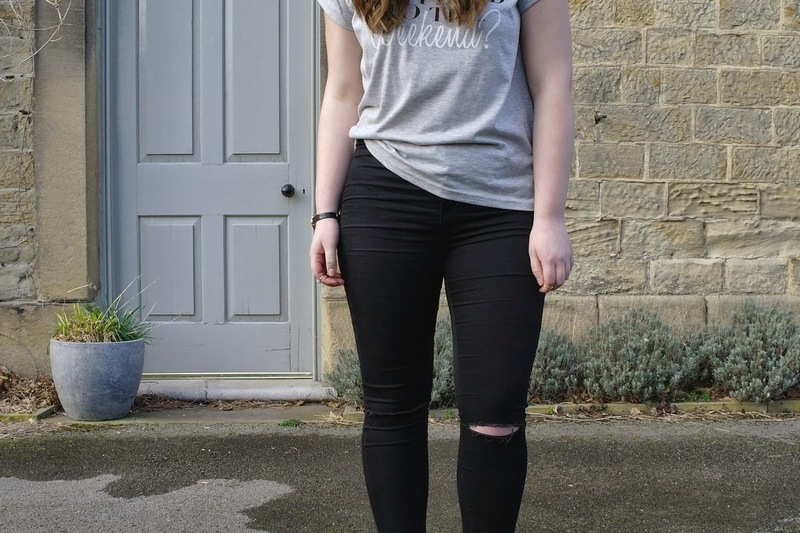 love the t-shirt and the ripped jeans, nice casual look! As for movie selections, I have never seen "Love, Rosie" but it seems great. I just watched "The Holiday" and while I, unfortunately didn't die of laughter or cry rivers, it is definitely a very cute feel good rom-com. You can never go wrong with jeans and a tee though! I love these ripped jeans, I will have to get me a pair!